Flevobike is an outfit in the Netherlands. 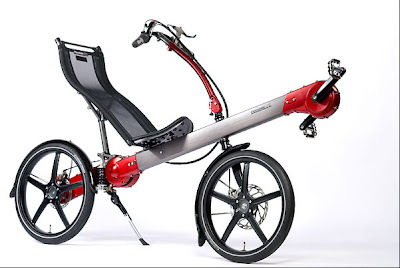 It has come up with a fully suspended, short wheelbase recumbent bicycle with disc brakes and an internal chain and an internal gear hub. Unfortunately, it costs 3400 euros and is not available on this side of the Atlantic ocean yet. What a beauty though.